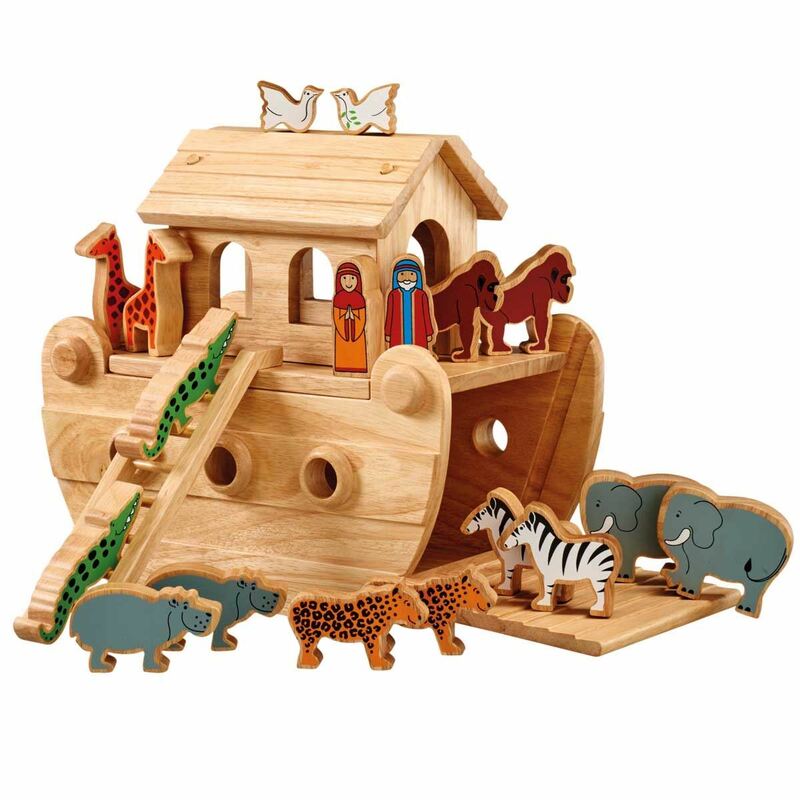 Natural wood finish Noah’s Ark with brightly painted 8 pairs of animals and Mr & Mrs Noah. A classic wooden Noah’s Ark with a natural wood finish. The roof is removable and the front opens to become a ramp for the animals, there is also a ladder for extra play value. 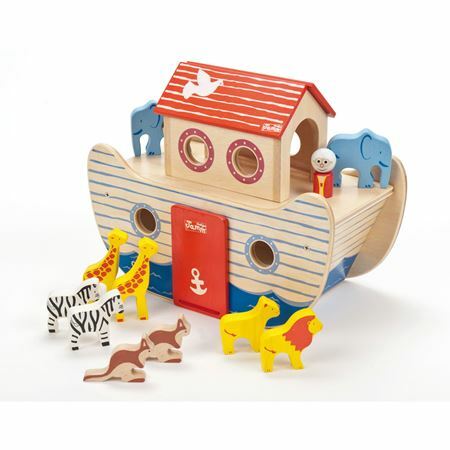 This beautiful Noahs Ark makes a perfect Christening or naming ceremony gift. Glossy painted, wooden Noah’s Ark with 9 pairs of animals and Mr & Mrs Noah. Beautifully detailed waves and rainbow on the ark. 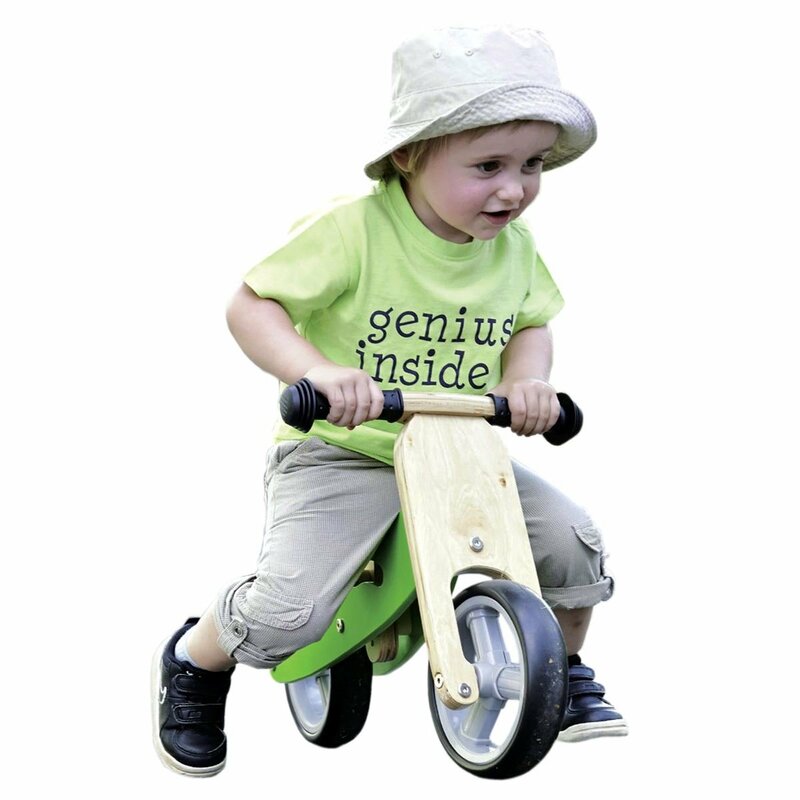 Noah's Shape Sorter Ark on wheels in painted wood with cheerful imagery - and with 23 pieces there's so much to play with! 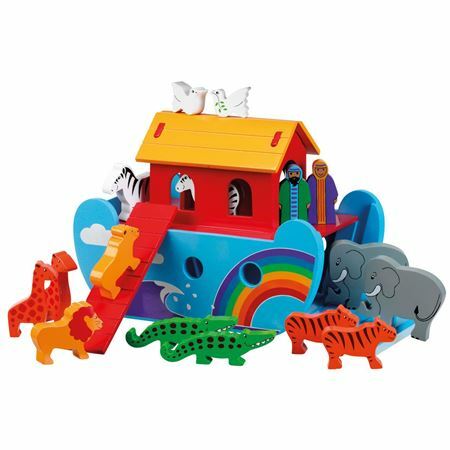 Noah’s Ark and 7 pairs of animals in painted wood that’s also a shape sorter for maximum play inspiration! Traditional wooden Noah's Ark with 5 pairs of animals. 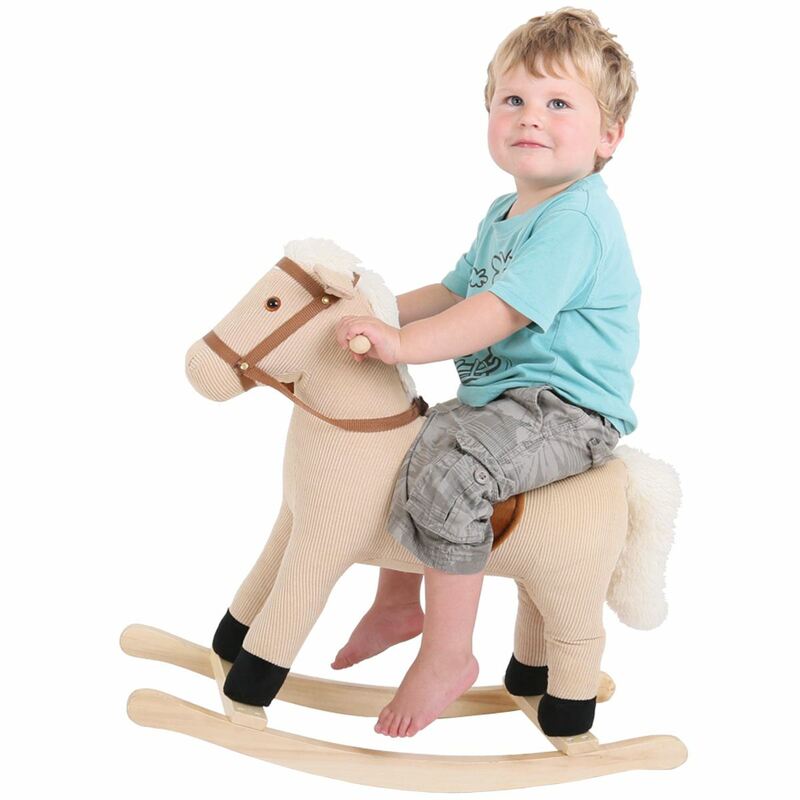 Superb quality and rigorously tested for use by children aged over 12 months. 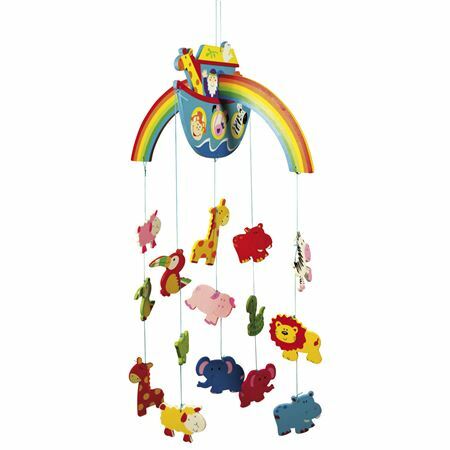 Brightly painted wooden Noah's Ark Mobile. 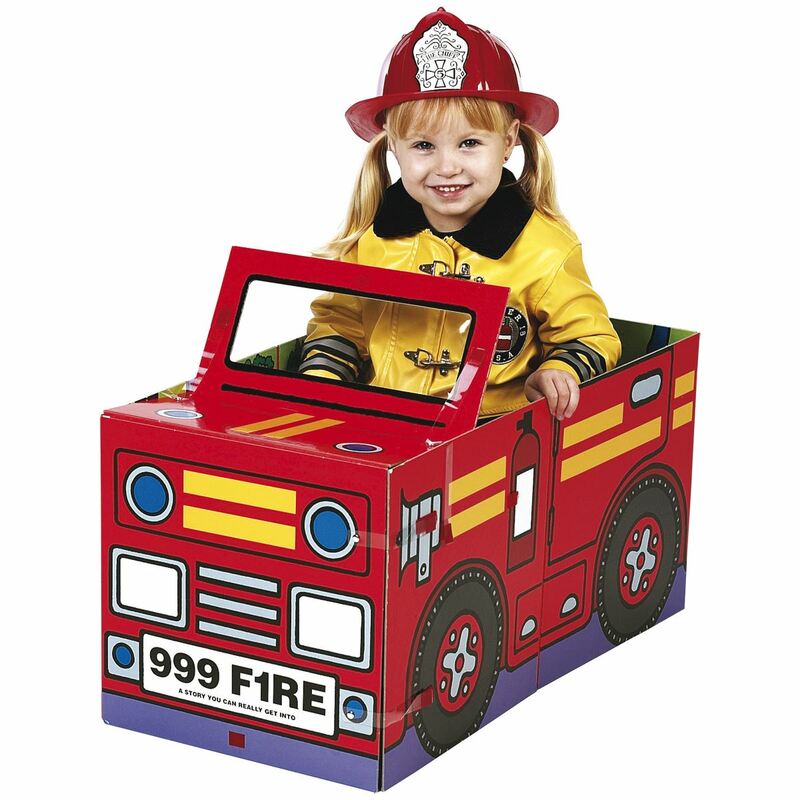 Sorry this product is no longer available see code 30047 as an alternative. 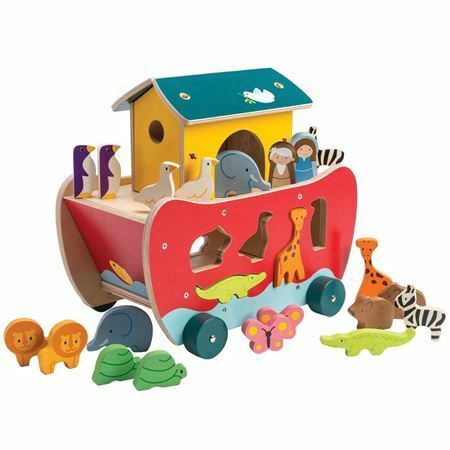 Lovely bright wooden Noah's Ark is beautifully designed with port holes, colourful rainbows and scenic painted waves, 6 pairs of animals and Mr and Mrs Noah. If adding personalisation allow 7 days for delivery. See our Terms & Conditions for personalised items.